JACKSON, Wyo. -- The killing of a wolf that was popular with photographers and wolf watchers in Yellowstone National Park has sparked new calls for protecting the animals. A Montana hunter legally killed the wolf known as 926F and "Spitfire." Abby Nelson, of the Montana Fish, Wildlife and Parks Department, said everything was legitimate about the way the wolf was taken on the Saturday after Thanksgiving near Cooke City, Montana, outside the park. But she told the Jackson Hole News & Guide that it may be a little bit harder for people to accept because the pack the wolf belonged to had showed signs of habituation. The wolf had been the alpha female of the Lamar Canyon Pack until ceding the role to her daughter recently. The wolf's equally famous mother, known as "06" for the year she was born, was also killed in a legal hunt, according to the News & Guide. "Everybody's mourning, everybody's thinking about what to do to stop this madness," Karol Miller, founder of a Facebook group named The 06 Legacy, told the New York Times. "People love the Lamar Canyon Pack and people know 06 from her New York Times obituary. These are the descendants of 06, her legacy. People love those wolves." The New York-based nonprofit Wolf Conservation Center said that wolves have become a significant source of tourism revenue to the areas around Yellowstone since the animals were reintroduced to the park in the 1990s. "Perhaps Montana should take a closer look at the economics of wolf hunting," the center said in a statement. "Seems that Yellowstone wolves are worth a lot more alive than dead." 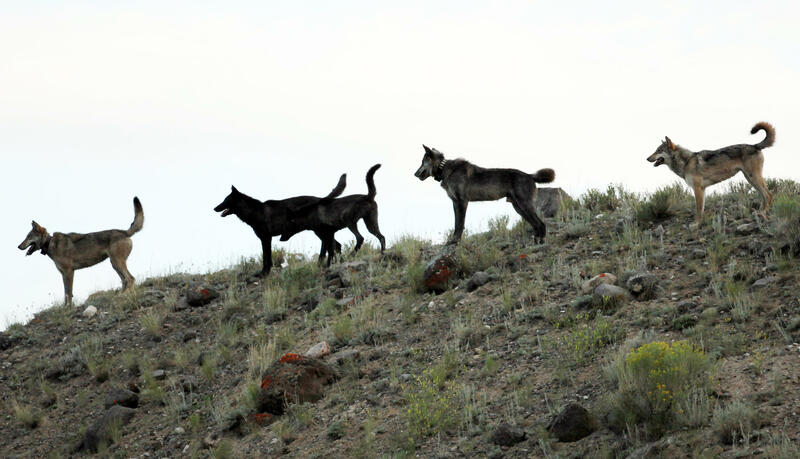 Montana, Idaho and Wyoming have established wolf hunting seasons to help control their numbers. Montana law forbids making buffer zones around Yellowstone to prevent wolves that stray just outside the park from being hunted, according to the Times. No wolf hunting is allowed inside Yellowstone.